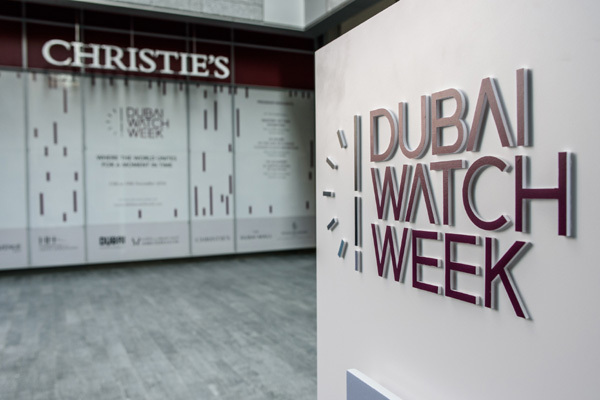 Dubai Watch Week and Christie’s have confirmed that they will be hosting the first international Horology Forum in London on September 11 and 12. The first edition of the Horology Forum took place at the inaugural Dubai Watch Week in 2015, providing a space for intellectual discussion between leading watch curators, pioneers, authors, historians, collectors, brands and industry professionals. An original concept created by Dubai Watch Week, the Horology Forum is designed to foster free-flowing conversation covering a broad spectrum of industry topics. It is the first edition of its kind in partnership with Christie’s and is expected to attract a growing number of visitors from the global watch community as it gains international momentum. The Horology Forum promises to engage and educate attendees as panellists discuss current topics and trends focusing on the generational gap in the industry. The panels are set to bring together renowned watchmakers, industry icons and collectors to facilitate the exchange of knowledge and share their expertise and insights on some of the most debated and trending topics in the horology industry.